Big-screen action hero gets personal in GQ's latest issue, discussing everything from his stellar career to whether he'd give politics a go. 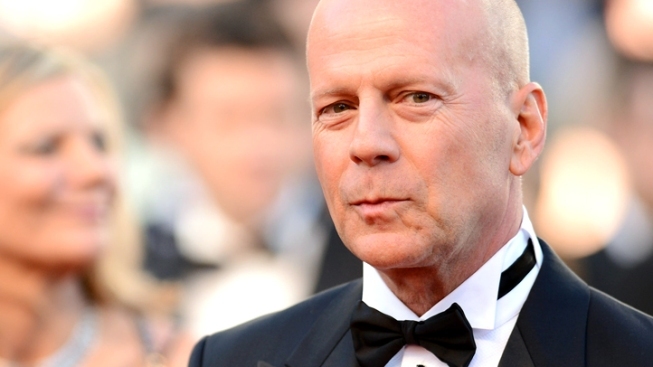 Bruce Willis is the Energizer Bunny of actors--he just keeps going and going. And to think that after shooting up the big screen in five--count 'em, five--"Die Hard" films along with starring in a slew of memorable roles over a three-decade Hollywood career ("Pulp Fiction," "12 Monkeys" anyone? ), he hasn't even been nominated for an Oscar! Ahead of "A Good Day to Die Hard," the latest installment in his long-running action series hitting theaters on Valentine's Day, the 57-year-old Willis opened up to GQ about being overlooked for an Academy Award, his brief bout with sobriety, parallels between him and Clint Eastwood and whether he might one day ever run for political office. When asked whether he missed the critical respect from the Academy that's so far eluded him, the thesp didn't seem too fazed. "I don't think about it too much. It just always has seemed whimsical to me, to think about it. You don't get an Oscar for comedy, and you don't get it for shooting people," Willis told the magazine. "You get it for novelty, of being fascinating to watch in some character role. But the 'Die Hard' stuff and 'Dirty Harry' are all fraught with the same thing that every story is fraught with." And it's not like he's gone without accolades. Aside from a star on the Hollywood Walk of Fame, not to mention winning an Emmy and Golden Globe for his starring role on "Moonlighting," the '80s comedy drama that made him a star, Willis was also just made a Commander in the Order of Arts and Letters by the French government on Monday. Bruce Willis picks "A Good Day to Die Hard"
Happily remarried to British model-actress Emma Heming, Willis also revealed that he pretty much avoids booze these days. "I had been sober [for a while]," he said. "But once I realized that I wasn't gonna run myself off the pier of life with alcohol, drinking vodka out of the bottle every day...I have wine now, mostly when I eat." No wonder the French love him. John McClane's real-life alter ego lastly talked about his political aspirations--or should we say lack thereof. "Nobody wants to hear this bad news, but we're all dying on some level. I'm going to try to keep the machine moving forward as much as possible and not have to think about the eventuality of becoming more frail and less able to do the work," a philosophical Willis said. "I know that I'm not going into politics. That's not an option." But would he ever consider doing something on a "smaller level," like, say, pulling an Eastwood and becoming the next mayor of Carmel? Yes, indeed he would. "Something where you can make the town a little better," Bruce noted. "That idea of trying to help someone and not f--k it up." The GQ issue featuring Willis on the cover hits newsstands on Feb. 19.